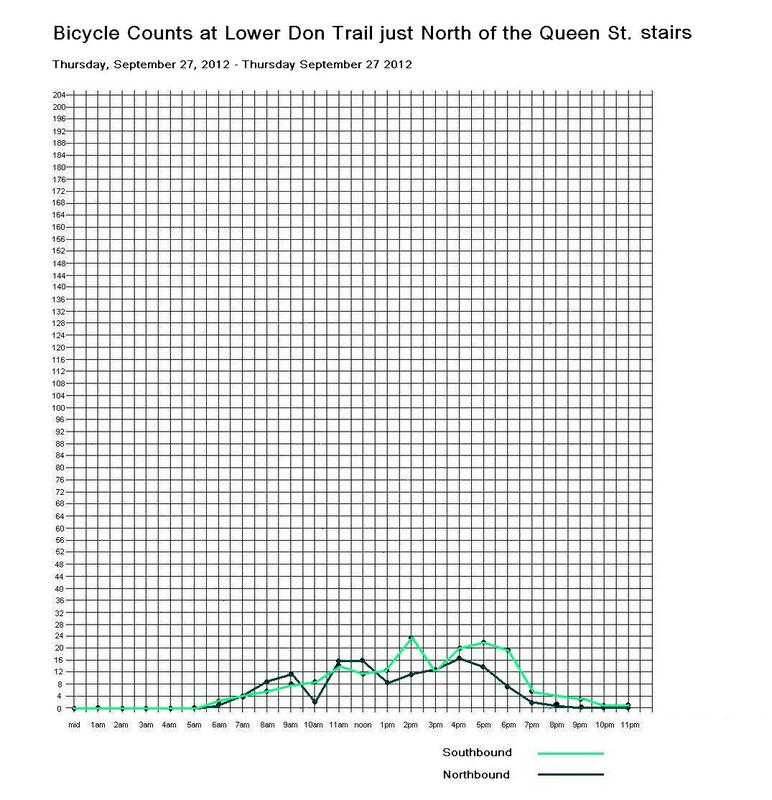 Ward 30 Bikes asked the City of Toronto Open Data portal for any Bike Count Data they had for Ward 30. 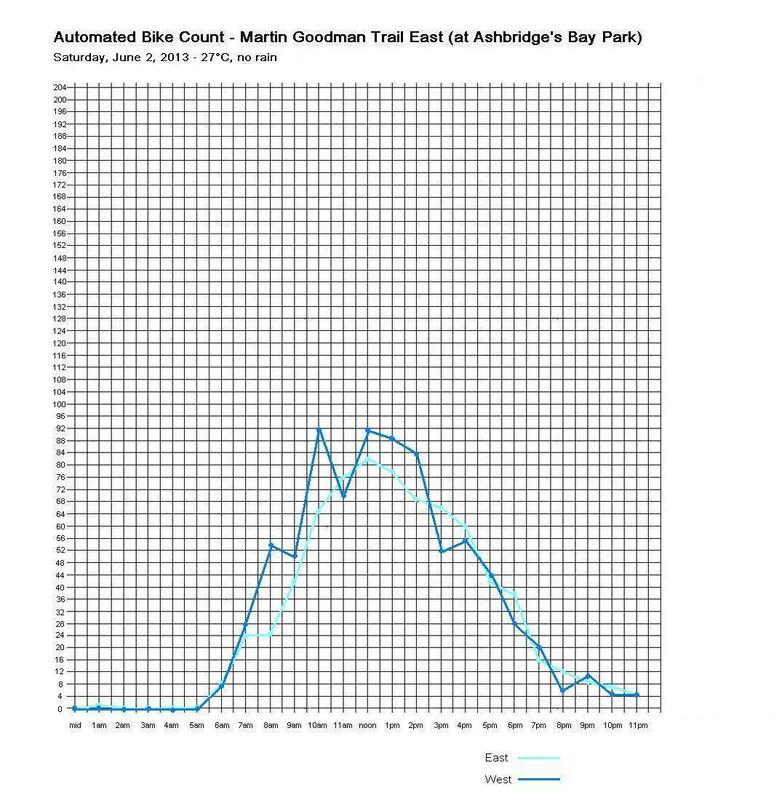 Her’s a Map showing the locations of the Count data that Open Data sent us. 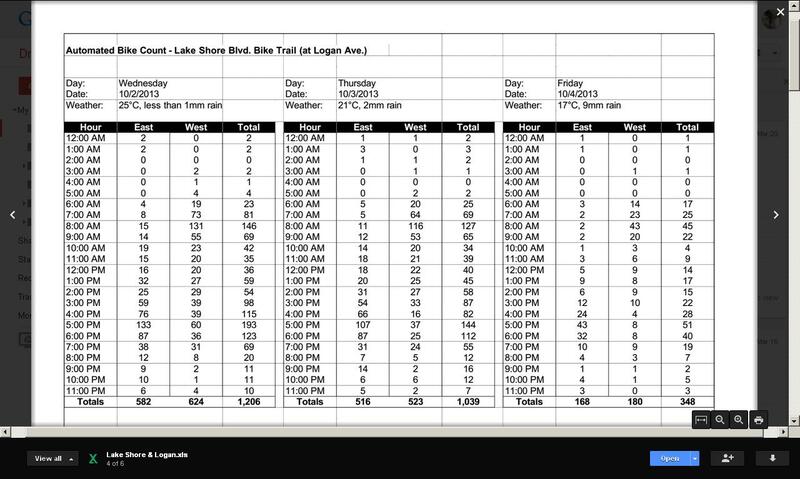 Used the excel data table to make 9 graphs of 3 days of the data at three locations – the 10th graph image is produced by Transportation Services. 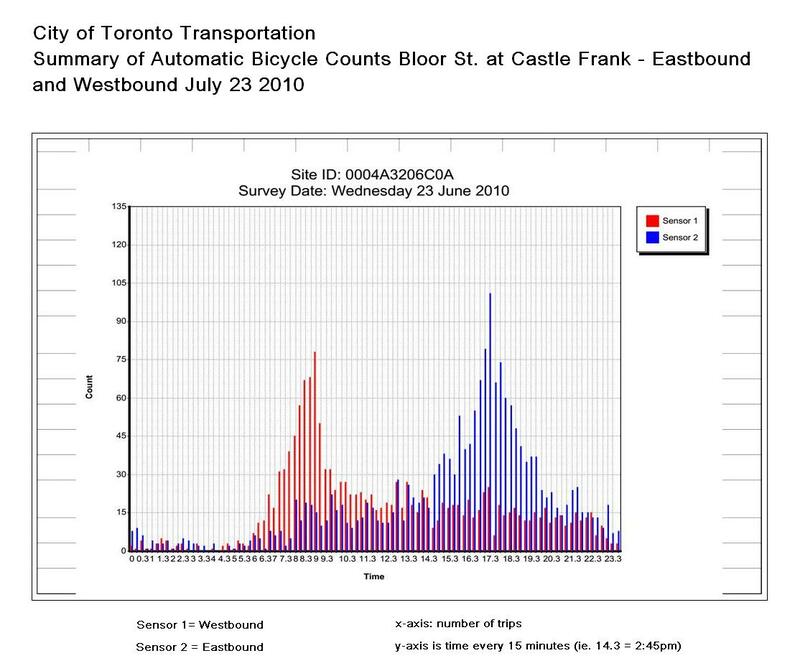 It represents 24 hours of data collection at Bloor & Castle Frank on July 23 2010; I’ve annotated the image of it with the necessary reference information that was also part of the Transportation Division’s .pdf. 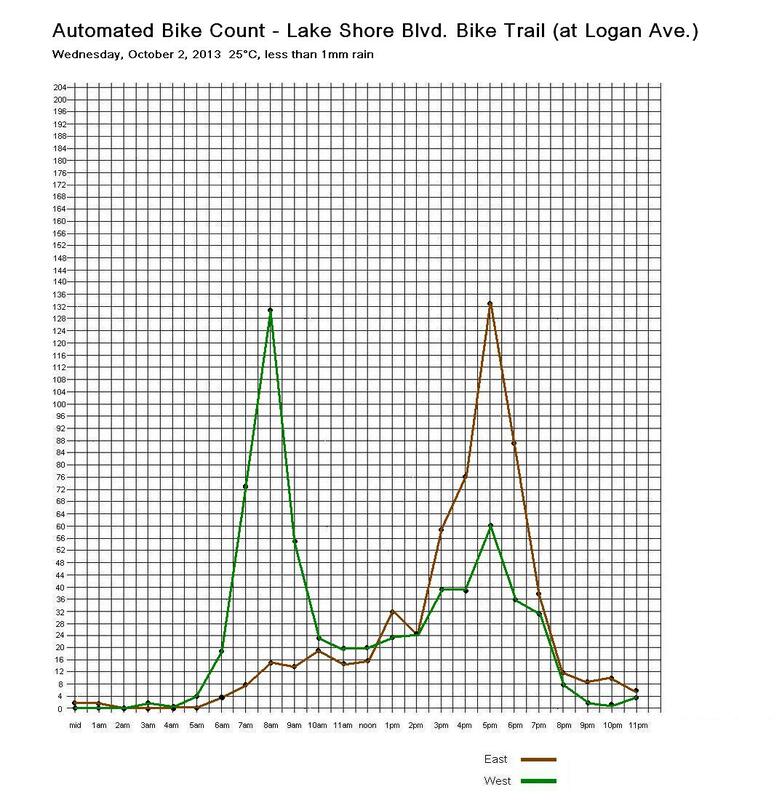 Also of some relevance to Ward 30 is the 2010 Bicycle Screen Count – that info is at this link at the bottom of the page. 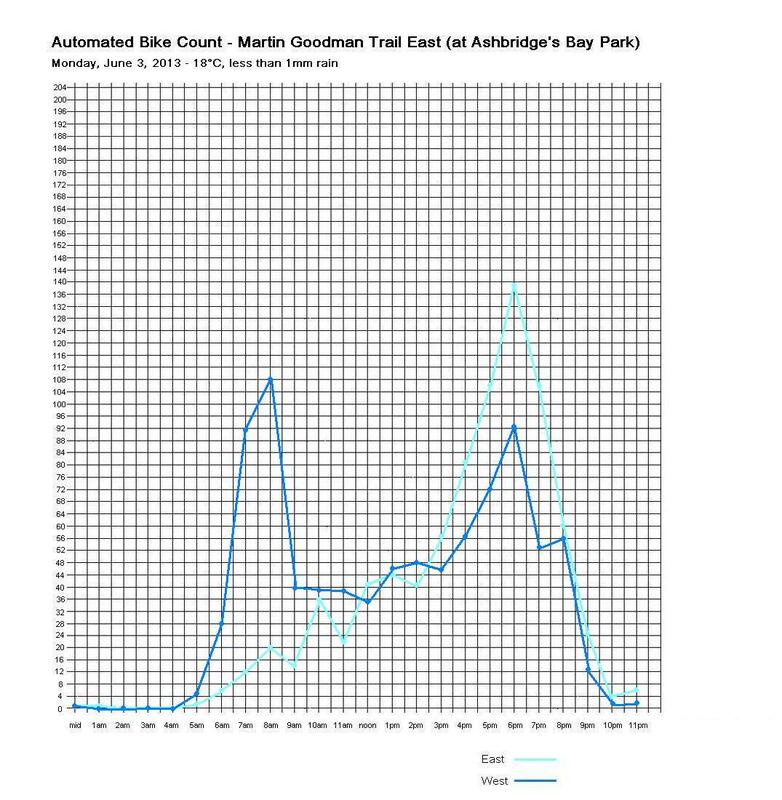 The “Martin Goodman Trail East” file contains data for July 1st to 5th, 2013 – 24 hour data collection on the Martin Goodman Trail at Coxwell Ave – Eastbound and Westbound. 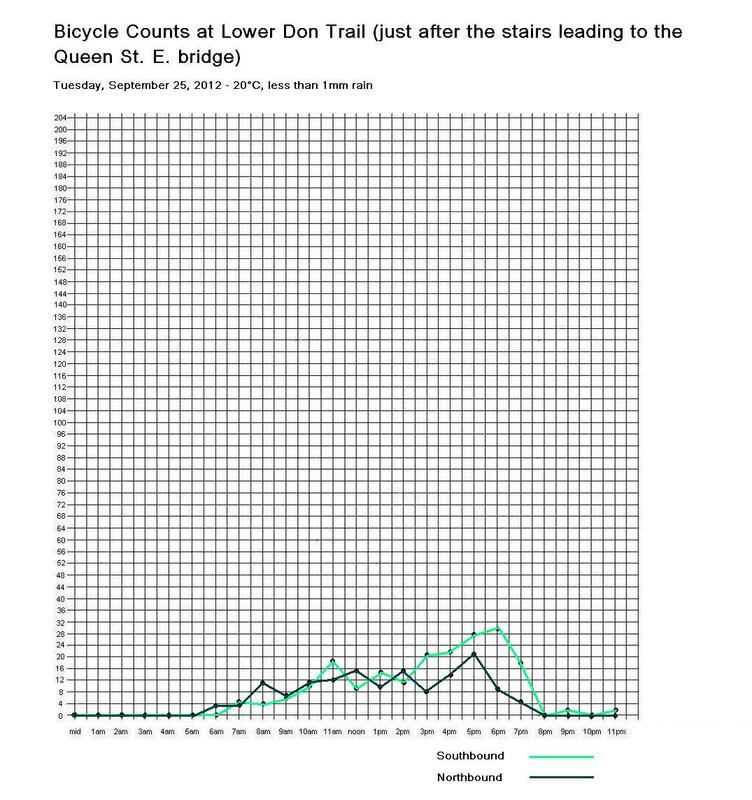 This count is over 10 days in 2013 – October 2nd to 10th. 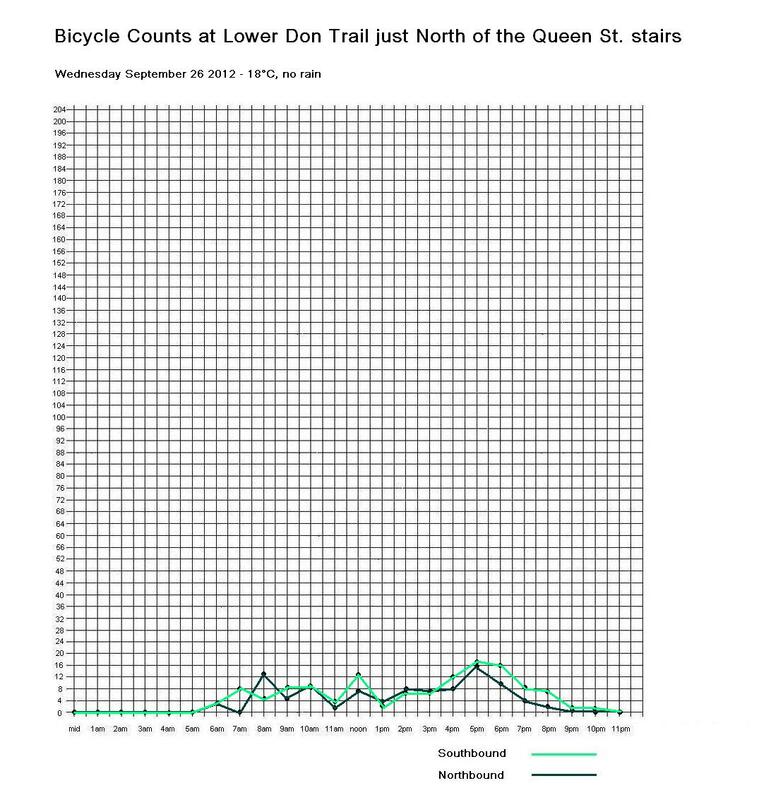 This count was preformed over 5 days in 2012 – Tuesday, September 25th to Sunday September 30th. Plotted is the first 3 days. Weekend numbers nearly doubled. 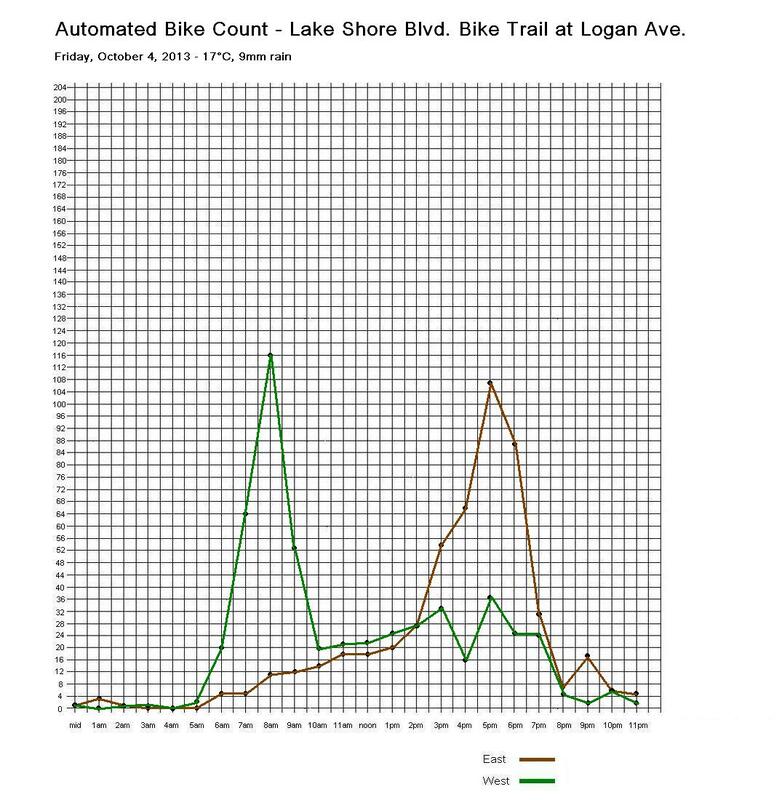 I believe this location was part of Transportation Division Cycling Infrastructure and Program Unit’s Downtown Screen Count. Previous Post "I advocate for "Liveable Cities" Re-development; therefore I advocate for GREAT Bicycle Parking."